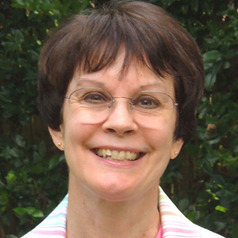 Susan D Gillespie joined the faculty at the University of Florida as an Associate Professor of Anthropology in August 2001. She became Associate Department Chair in 2003, serving in that capacity until 2009. In August 2013 she was promoted to full professor. Gillespie was elected President-Elect of the Archaeology Division of the American Anthropological Association in 2003, serving as President from 2005 to 2007. She was certified with the Register of Professional Archaeologists in 2006. In 2010 she was elected as a Member of the Executive Board of the American Anthropological Association, her term expiring in November 2013. Dr. Gillespie received her Ph.D. in Anthropology in 1983 from the University of Illinois at Urbana-Champaign, specializing in the archaeology and ethnohistory of Mesoamerica. That year she was hired as Assistant Professor of Anthropology at Illinois State University, Normal, where she was promoted to Associate Professor in 1990. During part of that time she also served as Acting Director of the Midwestern Archaeological Research Center, a contract archaeology program focusing on the Euroamerican period in the Midwest. In 1994 she was hired as Assistant Professor of Anthropology at the University of Illinois, and was promoted to Associate Professor in 2000. She has directed archaeological projects in the states of Oaxaca and Veracruz, Mexico, and has conducted ethnohistorical studies of both the Aztec and Maya peoples and iconographic analyses of Mesoamerican artworks in general. Dr. Gillespie is the recipient of the 1990 Erminie Wheeler-Voegelin Prize from the American Society for Ethnohistory for The Aztec Kings (1989), the 2002 Gordon R. Willey Prize from the American Anthropological Association, and the 2012 Patty Jo Watson Distinguished Lecturer, American Anthropological Association, Archaeology Division: "The Entanglement of Jade and the Rise of Mesoamerica."